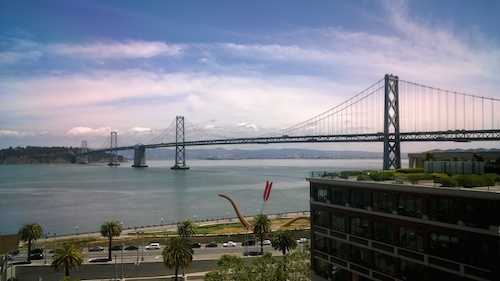 I recently visited San Francisco, California for a few days this month with several of my online and in real life friends. 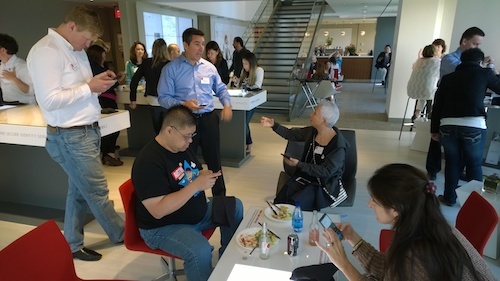 We attended the Verizon Influencer Summit 2014 at the Verizon Innovation Center West. 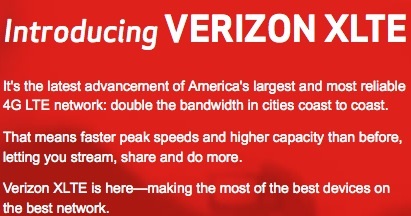 Verizon was nice enough to pickup the travel tab, hotel and Uber transportation service. The accommodations at the Hyatt Regency Embarcadero, near the San Francisco Ferry Building, were a conveniently located a few blocks away from the VZW Influencer Summit. Later on in my trip, I found out that it has nearly the largest atrium in the USA. 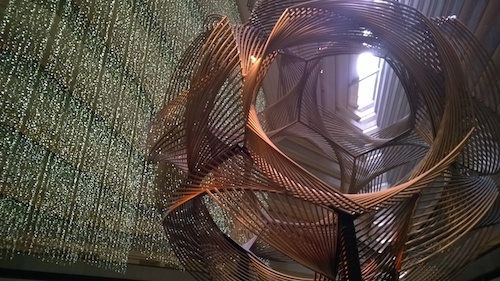 The Eclipse sculpture in the middle of their lobby looked to be several stories high and is very ornate. 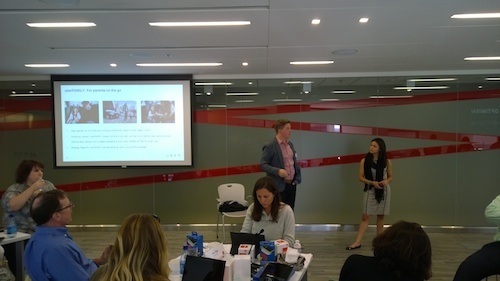 What’s special about this influencer trip was that our host, Verizon Wireless, had recently renovated their Verizon Innovation Center in the Financial District, San Francisco. 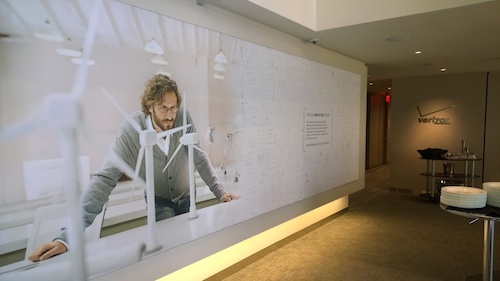 Once inside, there were floor to ceiling windows with views of the San Francisco Bay on one side and Internet connected screens with live data being displayed on the interior. Next to the constantly updated screens were multiple tables with different types of gadgets. These gadgets were somehow enabled to access the Verizon Wireless network. The labels attached to each product were either near term solution or market ready. 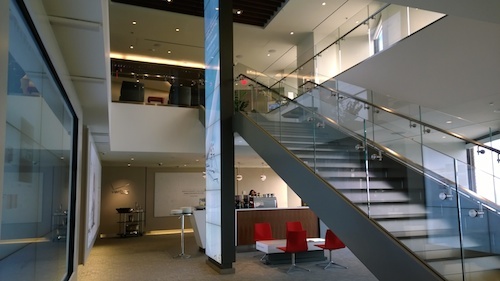 In addition to the lobby, there was also a multiple purpose room, a Verizon Theater and a Solutions Zone. The Solutions Zone was by far the most fun for tech exploration. 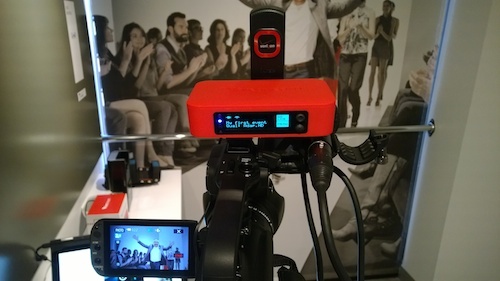 There were about a 100 different devices ranging from a live streaming box that broadcast events wirelessly over the Internet, to a VGo robotic telepresence device. 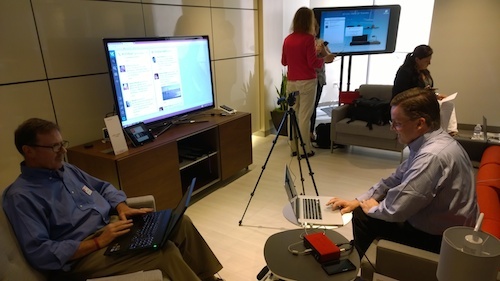 The Solutions Zone is also where the VZWBuzz team held a live streaming video chat. My favorite market ready devices in the Solutions Zone were the live streaming boxes that attached to video cameras and the 4G LTE signal boosters for the home. 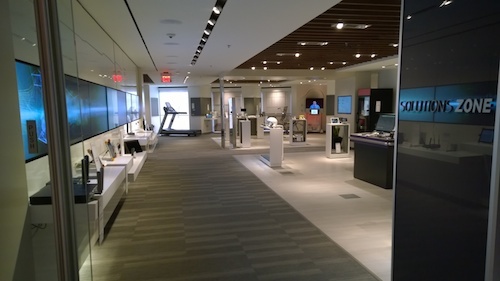 Many of the near term solutions won’t be on the market until after the 2015 International Consumer Electronics Show. I couldn’t have been more excited to spend as much time as I did those two days in an office building Downtown San Francisco. 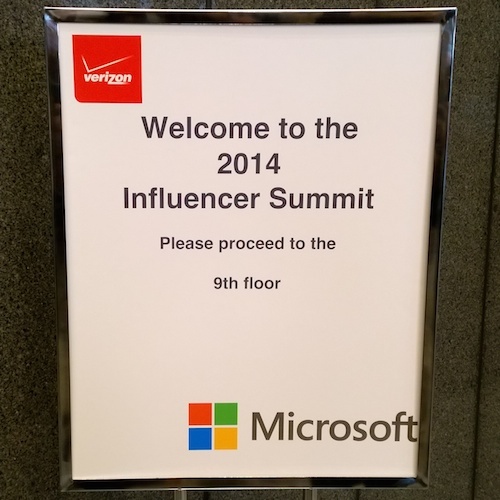 The nice folks from Verizon, Microsoft, Uber and other big brands taught us so much in that short amount of time. Everyone was happy to learn about new mobile electronics. We were able to play with many cool gadgets during the presentations. 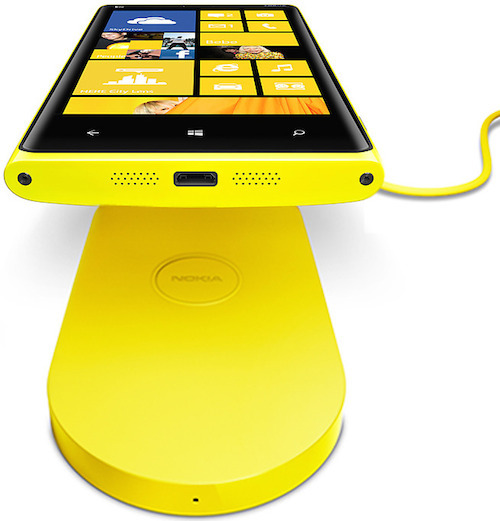 The first tech accessory that was presented to us was a Nokia Qi Wireless DT-900 charging plate. It is offered in many colors and works with the Verizon Wireless Nokia Lumia Icon. 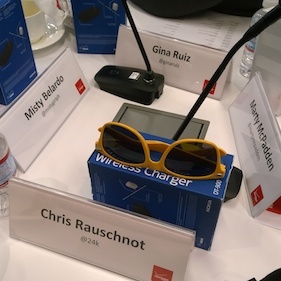 Since the charging plate is built on the Qi Wireless standard, it should be able to charge other Qi Wireless enabled devices. 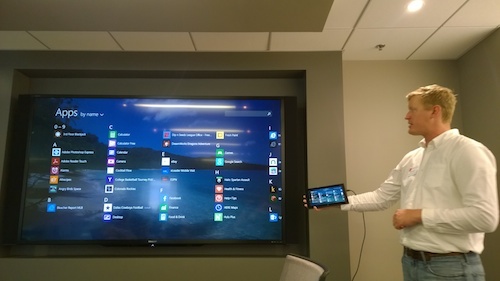 Microsoft then presented us with a Nokia Lumia 2520 tablet to use the rest of the trip. 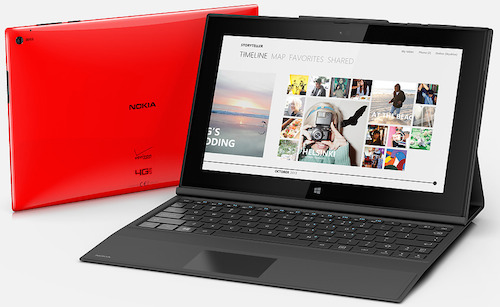 The Lumia 2520 Tablet with Verizon 4G LTE offers up to 150Mbps speed, WiFi and is quite thin. 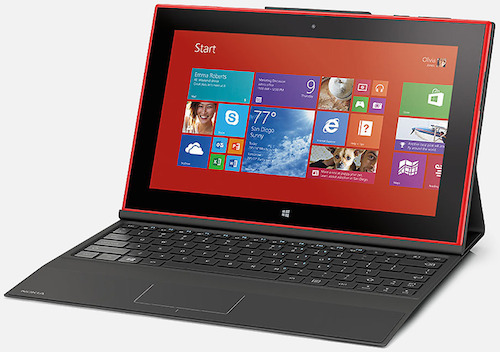 The tablet shines with its Windows 8.1 RT OS that gives the user a nearly complete mobile desktop experience. The forward and backside cameras, 32GB of internal storage, wireless connectivity and Microsoft Office software preinstalled means that you can be up and running within a few minutes. The tablet version of Windows 8.1 has many fun tricks up its sleeve to help everyone complete multiple tasks simultaneously. After multiple apps are opened, like Twitter and Facebook, all one needs to do is swipe from the left while holding over the right or left sides of the screen and it splits the screen in two. The user then may adjust a black bar that separates each side. Want to open a new app in one of the two screens? Slide from the top down on the app you want closed. Then tap once on the capacitive Windows button located at the bottom of the tablet. It will bring you back to the app screen. Tap to open a new app and voila, now you are running that and Facebook. 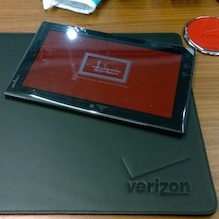 The tablet comes with NFC and a large set of gold contacts on the bottom to attach a keyboard case. After lunch, the Microsoft folks showed off their powered keyboard. But as we found out throughout the day, it turned out to be much cooler. Magnets placed in key locations in the case helped it to stay closed and keep the tablet at an optimal angle for typing. The case’s 2,027 mAh battery is setup to do two things. When the Lumia 2520 is plugged into the Nokia SU-42 keyboard case and a wall socket, it supplies power to both USB 2.0 ports and passes power through to the tablet for charging. Once the case is unplugged from the wall, the Lumia 2520 tablet uses the case battery first and then its internal battery. Once I figured out how all of the swipes worked to control the tablet software, I noticed that its long design was good to read websites and documents in portrait mode. Reading Internet articles and blog posts is much easier now than with most nearly every other tablet out there, including the iPad. Knowing how to use the Lumia 2520 tablet helped me to take notes and surf the Internet for background info on topics our speakers brought to our attention. 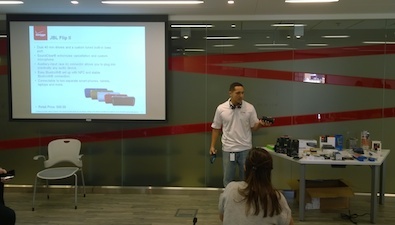 The people from Verizon covered topics from XLTE, the upcoming World Cup event in Brazil, accessories for our smartphones and tablets, Verizon Foundation, HopeLine and apps specific for iPhones and Android smartphones on the Verizon network. Several speakers from Uber came by to talk to our group. We arrived to our hotel via an Uber. I had been in San Francisco a month before and my first experience with Uber was in one of their Black SUV’s. The Black SUV is an upgrade in their overall system. I was fortunate enough to be able to take an UberX from the airport on this trip. UberX is best described as the low-cost Uber and is supposed to be more cost effective than a regular taxi. It comprises of drivers that pass a background check with a higher than normal amount of car insurance. My driver from the airport was nice. Once my reservation was set, he sent me several text messages asking me pertinent questions so that we wouldn’t miss each other at passenger pickup. UberX drivers are held to a very high standard as I learned from both the driver and from the people at Uber. If they get a score of an average below 4.5 stars out of 5, they are warned that their UberX membership could be revoked. In the past, car insurance for UberX drivers had been a major concern. Drivers are now covered when they are en route to a pickup and when they have a fare. Very important to note with Uber is surge pricing. When Uber drivers are in very high demand, like at 5pm on a weekday in a big city, pricing can be twice the normal amount. Everything happens via their iPhone and Android app. Windows Phones, like the Verizon Nokia Lumia Icon, may order a Uber ride via their mobile site. All Uber drivers use an iPhone with Verizon Wireless service to communicate with their customers. 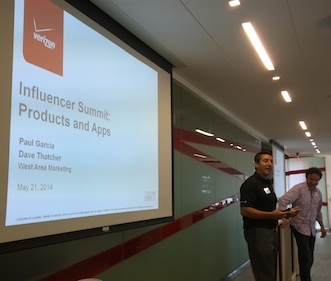 My trip to the Verizon Influencer Summit 2014 at the Verizon Innovation Center West was one I’ll not soon forget. I look forward to helping others with answers I learned at the event. The professionalism of the people who helped the VZWBuzz group from all of the brands invited to participate was on point. 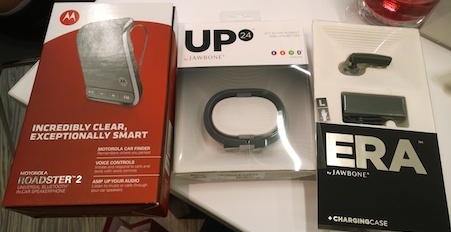 Disclosure: I received travel accommodations from Verizon, a Nokia Lumia 2520 and many of the smartphone accessories mentioned above at no cost. 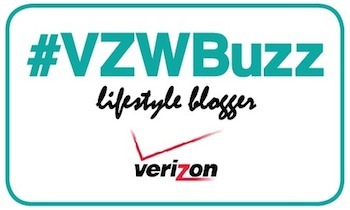 I am a Verizon Wireless Buzz Group Ambassador. I did not receive compensation for this review. All thoughts and opinions are my own.